At the Movement Re-Training Center, we are using different training methods to help our clients and guide them in the process of understanding their body and improving their awareness. Our whole training offer is based on first-hand experience and a rigorous continuing development plan comprising regular updates for instructors. Next to our extended theoretical knowledge, we gained experience in all the practical aspects of teaching through more than 26.000 hours of self-practice. We are able to perfectly demonstrate the exercises but also, more importantly, to bring our clients to a level where they really can understand and feel what is going on in their bodies during the training process. We know exactly how the different exercises feel and we will only be satisfied when we will be sure you are experiencing just that. We value knowledge, practice, patience and a non-judgemental approach. The methods we are using are the most sophisticated training techniques targeted at the improvement of movements. Thanks to these methods we can stimulate a process of change in you at a physical, emotional and energetic level. Taking all these aspects into account gives us a more complete picture of our clients and their needs. Teaching movement is a complex story, comprising many layers based and depending on the client’s prior knowledge, experience and willingness to commit. A long experience with these methods and a daily practice enable us to take up the challenges of each client’s particular situation and need, every day. As specialists in movement, we always stay open to different approaches and will happily cooperate with other experts from different disciplines. The GYROTONIC® and GYROKINESIS® methods are complementary exercise methods that fall under one umbrella- the GYROTONIC EXPANSION SYSTEM®. Both methods were developed by Juliu Horvath, an Hungarian native, professional dancer from Romania. Horvath suffered a series of debilitating injuries during his dance career, and began developing what are now known as the GYROTONIC® and GYROKINESIS® Methods as a way to heal himself and regain his strength and agility. GYROTONIC® exercises are performed on custom-designed GYROTONIC® equipment, whereas GYROKINESIS® exercises are performed on a mat and chair. Both GYROTONIC® and GYROKINESIS® exercise sequences are composed of spiraling, circular movements, which flow together seamlessly in rhythmic repetitions, with corresponding breath. Each movement flows into the next, allowing the joints to move through a natural range of motion without jarring or compression. These carefully crafted sequences create balance, efficiency, strength and flexibility. There are Specialized Therapeutic Applications for Pelvic Girdle, Shoulder Girdle, Scoliosis, developed by Juliu Horvath’s brother, Paul Horvath. Paul is the former coach of the national Romanian Olympic gymnastics team . He later became a physical therapist and has been practicing at the Reintalklinik (Germany) for more than 30 years. Since the birth of the GYROTONIC® and GYROKINESIS® methods, 30 years ago, the GYROTONIC EXPANTION SYSTEM® has grown to include a global community of over 13,000 GYROTONIC® and GYROKINESIS® Trainers teaching in 84 countries. 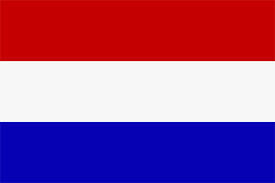 The Movement Re-Training Center is the first and only center in the Netherlands having a Master Trainer, Robert Hlatky. We became the first educational center offering education in GYROTONIC & GYROKINESIS® methodology in The Netherlands. In addition to several Pulley Tower units, the Movement Re-Training Center features all the specialized equipment: Archway, The Ladder, Jumping-Stretching Board (JSB), Leg Extension Unit (LEU) and GYROTONER®. The Voice Movement Integration (VMI) Somatic Practice is a integrative therapeutic method, combining manual therapy techniques, voice and movement re-education. It has been developed by Patricia Bardi, a licensed natural health practitioner and registered somatic movement therapist and educator. She established a professional training program in Amsterdam and is accredited by the KTNO and ISMETA. Patricia Bardi is also a founding member of the School for Body-Mind Centering (USA) and Chisenhale Dance Space in London. She has developed and taught Organ Rebalancing at numerous holistic health institutes including Dr. Rudolf Merkel M.D.’s School for Cranial Sacral Osteopathy in Zurich. She has conducted research in India on North Indian vocal music and has toured extensively presenting her work at international festivals, universities and theater schools throughout Europe, North America and India. VOCAL DANCE – a creative practice that frees the voice to be fully alive and reflected in one's expressive vitality and movement. VITAL MOVEMENT INTEGRATION (VMI) Bodywork – a gentle, precise hands-on integrative approach to health and healing. It connects body, mind and emotions bringing a renewed sense of equilibrium and well-being through the entire body. VMI Bodywork encourages you to open a conscious dialogue between body and mind, enhancing your awareness of the physical and emotional conditions that affect your vitality, health and well-being. ORGAN REBALANCING - a light, rhythmical and sensitive hands-on technique that integrates the awareness of the organs into a whole-body movement experience. The hands-on practice guides the internal organs in regaining normal mobility and tone, as it supports the vital balance of the skeletal structure and nervous system. It facilitates a deeper, more balanced breathing and improves postural integration. Movement Re-Training Center offers full VMI services and educational practice guided by Francesca Bracelli. Dance movement therapy is the therapeutic use of movement to deepen the emotional, cognitive, physical and social integration of the individual, based on the empirically supported premise that the body, mind and spirit are interconnected. Dance movement therapy combines the creative process and the study of human movement into a holistic approach that draws upon the elements inherent in dance. The programs are designed to meet specific goals and bring about therapeutic change. Dance movement therapy is drawn from backgrounds in dance, education and the health sciences including physiotherapy and psychology. Dance movement therapy requires an extensive training in dance movement therapy together with a supervised clinical practice. Dance therapy can be employed in public health services, social services agencies with crisis intervention programs, day centers, prisons, special education institutions, geriatric institutions, and private practices. Through different DMT programs, the Movement Re-Training Center gives its clients access to their sensory, cognitive, emotional and behavioral capabilities. Ballet technique is the foundational principle of body movement and form. It is used in ballet, dance, and sports. A distinctive feature of ballet technique is the turnout, which is the outward rotation of the legs. This creates stability for very complex three dimensional movement patterns under the variable influence of gravity, depending on the orientation of the body in space. Ballet technique is an essential component of movement education together with physical education. It is considered a discipline of study and encompasses facts, concepts, principles and theories just like other object of study like music, linguistic or physical education. Ballet technique is relevant to and shares contents with many other dance forms and sports. This versatility and richness of applications makes it an ideal support for cross-disciplinary study and training. Bridging the barriers between different disciplines, ballet technique creates synergies and is also supported by a whole corpus of knowledge from ballet itself, other forms of dance, medical science like biomechanics, pedagogy and psychology. Ballet has earned additional credibility as a separate entity and is a recognized subject of study in educational settings as a component of arts education. 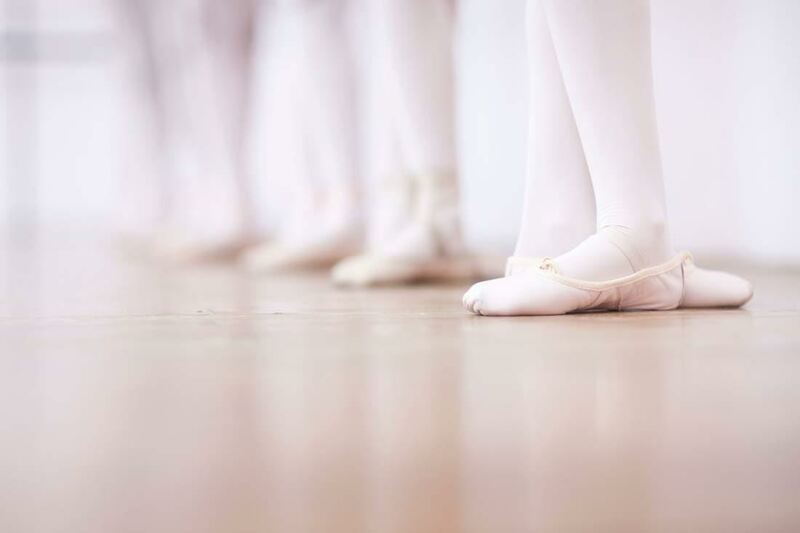 It is essential for those who are teaching ballet technique to have experienced and continue to experience this method at a professional level. Our ballet technique training covers multiple subjects: musicality, flexibility, mobility, balance, precision, lightness, momentum, understanding of space, tension, relaxation, breathing, concentration and memorizing. Ballet technique is one of the most intelligent training methods ever developed to be able to perform the most complex movement patterns. The Movement Re-training Center is a complete movement platform providing training and re-training facilities and supporting groups or individual top talents on a physical and mental level. 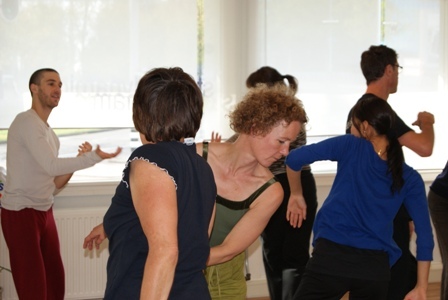 We have highly trained teachers, educators and therapists able to beneficially work with the best dance companies and sport schools in the Netherlands and around the world. Our clients are from renown dance companies like the NederlandsDans Theater, Scapino Ballet Rotterdam, Conny Jansen Danst, de Stilte, high profile dance schools like Codarts - Muziektheater, HAVO and VWO voor dans, HBO, ArteZ and top level sport institutions like Jeugopleiding Sparta Rotterdam football school, rowing Dutch national team or Dutch cricket team.